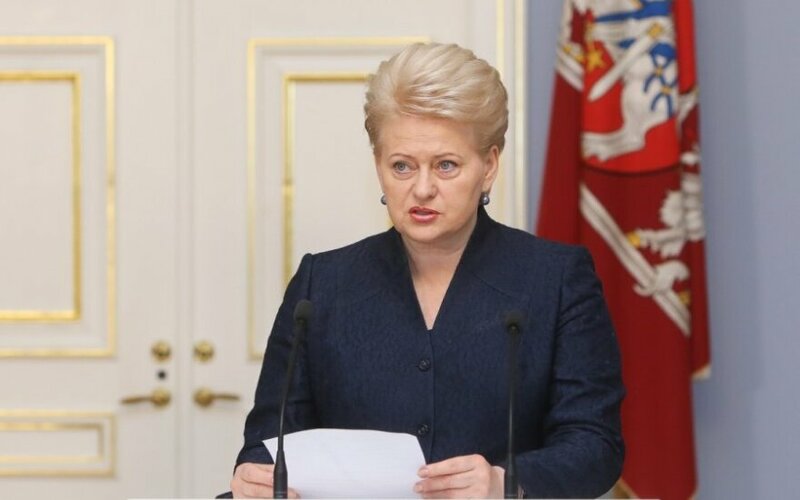 The effect of Russia's restrictions on imports of agricultural produce and food products on Lithuania's economy will be small but the country will look for ways to help the business sector, Lithuania's President Dalia Grybauskaitė says. On Wednesday, Russian President Vladimir Putin signed a degree, banning or restricting imports of agricultural products from countries that have imposed sanctions against Russia. "The effect on our economy will be small, I see practically no risk of bankruptcies, it will result in partial profit losses for one or the other business. Haulers will be the ones who will feel it the most, and everyone else will definitely deal with it, and we are also ready to look for ways to help the business sector. "So I think we should stay calm and be aware that we should not expect our neighbour to act logically in the upcoming years and stick to the international rules, and we should learn to live with that in mind," the president told the national radio LRT on Thursday. Grybauskaitė said Russia's response was not unexpected, also stressing that he sanctions will, first of all, hit people in Russia. "The reaction was expected. And this reaction, as always, violates Russia's international commitments and the WTO rules. But, most importantly, this reaction is mostly directed against the very people in Russia. Part of the business sector in Lithuania will lose part of its profit, but will not go bankrupt. Meanwhile in Russia, when we speak about the ban on food products from the outside, especially from the European Union, so it will directly affect Russian consumers. They will have less choice, competition will be lower, and there's probability of food prices going up," the Lithuanian president said. In her words, "the Kremlin's yet another attempt to take revenge on the West will hit Russia's own people." 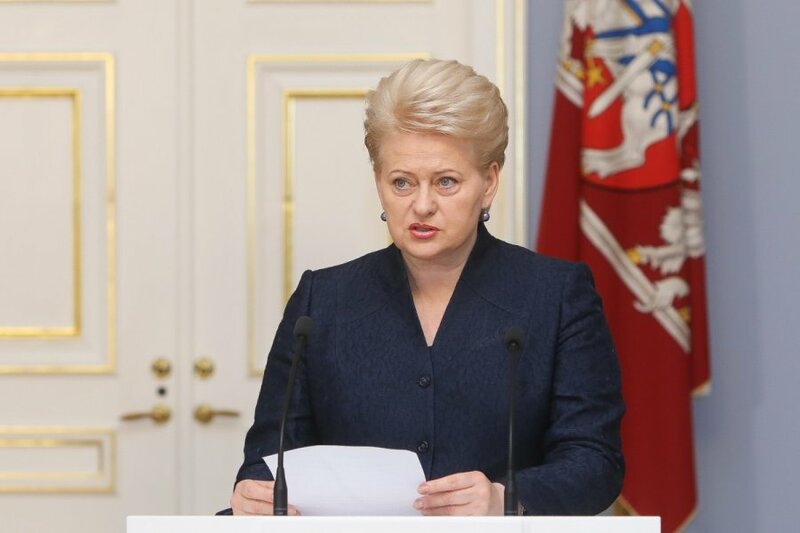 Lithuania already has experience of responding to such similar blockades, Grybauskaitė said. "We already have experience, we survived the recession period, we have learnt those lessons, and we also learnt the dairy blockade lessons. "Our dairy companies are capable of withstanding such unfriendly moves of our neighbours and I know they are capable of finding other markets. Moreover, we also have funds, we have around 200 million litas of European money for export promotion. Besides, since these measures will apply to the entire EU, the response will be discussed jointly. Therefore, it's likely that the EU budget will help to partly compensate for losses incurred," the president said. By imposing import restrictions, Russia is acting inconsistently and illogically, Lithuania's Minister of Foreign Affairs Linas Linkevčius says. "We should have expected, let's say, responsive actions. And it would be hard to say they were completely unexpected. But one thing is that such moves are lacking in logic and consistency," the minister told BNS. In his words, Russian President Vladimir Putin's actions contradict his words. "Not so long ago, President Putin said himself that political instruments and economic measures of pressure are unacceptable and run counter to the norms and rules. We already know that and have experienced that when there were bans on our food products, cheese, dairy products or, say, on Moldavian wine, or Ukrainian chocolate, or Georgian mineral water. We remember that, but that was said by President Putin, so it means the arguments are pretty much clear that it should not be done for political motives," Linkevičius said, adding that the responsive sanctions "are hurting people of Russia".